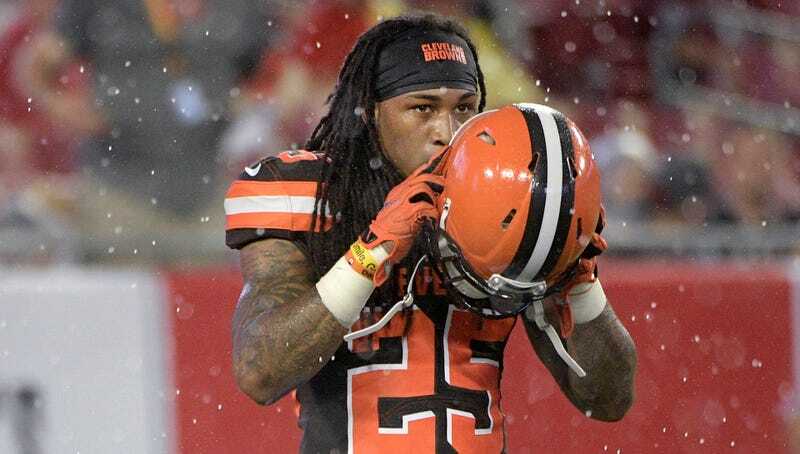 This morning before Browns practice, safety Calvin Pryor and wide receiver Ricardo Louis got into a fight, according to reports from Ian Rapoport and Cleveland.com’s Mary Kay Cabot. The Browns wouldn’t confirm that a fight had taken place, but Pryor didn’t show up at practice and hours later, the team formally cut him. The Browns traded linebacker Demario Davis to the Jets for Pryor (who, coincidentally, was in New York when IK Enemkpali punched out Geno Smith in 2015) earlier this summer, and he was projected to be the backup safety behind Jabrill Peppers. Jackson said he’ll promote someone from the practice squad to take his spot. Louis’s spot on the team is reportedly safe as it relates to the fight.